Ask fellow campers about "Wahweap RV and Campground" and nearby attractions. Access to Wahweap was via the south entrance, north is closed. Check-in at the CG store was quick and easy, friendly staff. A provided map was easy to follow and took us to "F" loop. "F" loop is combination of back-in and drive-thru with full hook-ups and 50A. Wi-fi is non-existent except at the store. Our drive-thru site was total concrete with fire-pit and BBQ. This is a busy campground, access to Lake Powell. Walking access to the beach and several hiking trails are available. Boat tours on the lake are expensive, very expensive, unless you have your own water craft. We enjoyed our stay here and will return. We camped at Wahweap RV and Campground in a Fifth Wheel. Page isn't a huge town. Safeway for groceries, or Walmart out on SR-89. The Colorado River Discovery raft tour is inexpensive and each boat has a native American pilot/guide with a lot of insight about the canyon before Glen Canyon Dam was constructed. Antelope Slot Canyon tour is another must do. There are a bunch of side trips, on and around Lake Powell and Page. Stayed here for 7 nights in September in site D37. Nice long site with plenty of room to stay hooked up if you wanted to. Had two other cars with visitors and all fit in the site. Site was clean and nice views everywhere of the lake. We will stay here again. We camped at Wahweap RV and Campground in a Fifth Wheel. Rented a houseboat from Antelope Marina but we had problems. The stove and refrigerator were electric only & batteries didn't last. Rent from Wahweap marina. Stove is propane & fridge runs gas or electric. Nice RV park with very long spaces. We were in D Loop, and yes, you do partner with the next site, but it is sewer to sewer and there is lots of room between the sites door to door. We had a nice view of the lake from our windows, it was very quiet at night, and about 5 miles from the town of Page. Only negative was that no one cleans the sites after you check out. Empty bottles, bottle caps, trash, etc. For as much as they charge, you would think they could hire someone to sweep the sites. We camped at Wahweap RV and Campground in a Fifth Wheel. Boat trip to Antelope Canyon was great. Visit to the dam is a must. Lots of scenic drives including one over to the Vermillion Cliffs and North Rim of the Grand Canyon. We ate at Jacobs Lake and it was very good. They have extremely good cookies you can buy, and a very nice gift shop. We stopped at Lee's Ferry and the Navajo Dam. Wanted to stay longer, but schedule wouldn't let us. Nice Walmart in town and a Safeway for food. When making reservations, you can ask for a specific site but it is not guaranteed. After some research, our group chose sites 23-25 in C loop. They have a limited view of the lake and are wide concrete sites with full hook ups. The sites size vary greatly and the back in sites are very nice. The campground is well designed (except for the buddy side to side sites) and very clean. Hookups are conveniently placed and work well. There is little shade in the campground. Remember you have to pay National Park entrance fees of $25 in addition to campground fees. Showers are pay showers and there is an on site laundry. We camped at Wahweap RV and Campground in a Travel Trailer. Our party of six rented a speed boat at Antelope Point Marina (20 minute drive) to your Lake Powell. We boated to Rainbow Bridge and Antelope Canyon. It was an all day adventure that was wonderful! Cost was similar for 6 people to the Rainbow Bridge boat tour offered by the campground concession. It wasn't obvious where to check in, but we figured it out quickly enough. The store was nice and well stocked. The office staff were fine - not the most friendly, but not rude either. The campground is well laid out, with nice views from many sites. There are definitely some that are much better than others - we were fortunate enough to get a nice one along the edge, with a view of the lake, and plenty of space between the sites. The only major issue we had was our A/C kept tripping the breaker, which has never happened before. I'm not aware of any mechanical issues with it, so it may have been the electrical at the site, but they insisted it wasn't, so who knows. So we had no A/C, and it was hot. The office was difficult to get a hold of, too, and we had to go to the office to ask for help, since nobody answered the phone. Other than that, it's a great campground. The lake is in walking distance and it's close to the town of Page and other attractions like Horseshoe Bend. We had a good stay overall, and I'd recommend it - especially if you have a voltmeter. We camped at Wahweap RV and Campground in a Travel Trailer. Loop D has FHU but you only want to get the sites that are back in on the far side. The first 2 rows are insanely close together, with one RV pulling-through one way, and the neighbor pulling through the other way, such that they have maybe one foot between their slide-outs. Terrible. We lucked out and got one of the back-in sites. We thought it was too expensive, but it is Page. We planned on going swimming, but somehow there is broken glass all over everywhere, which is hard to comprehend how it all got there since there are no partial bottles, so we skipped swimming and would recommend shoes if you choose to do so. We camped at Wahweap RV and Campground in a Travel Trailer. Very nice pull thru site! Paved, shaded and level, plus the hook ups were located well. Spotty wi-fi had to go to the nearest rest room or the station to get any internet service. Located close to shopping, sites and restaurants in Page. Very enjoyable stay, did the upper loop of Antelope Canyon and also did Horseshoe Bend, both were GREAT. Going back to do the lower loop in the fall. Get reservations, VERY IMPORTANT, people were getting turned away when we arrived, luckily we had reservations! We camped at Wahweap RV and Campground in a Fifth Wheel. Antelope Canyon is a must see type of attraction and also do Horseshoe Bend, but be prepared to walk a LOT, take lots of water with you. Best restaurant in the town is the Mexican place El Tapatio right on Lake drive, its on the North side of the road. Don't go to the 5th Street Bar! 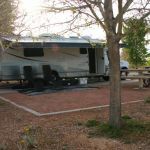 This RV Park is the best place to stay at when visiting the area. 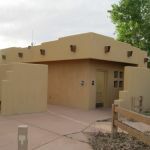 While not cheap, but well worth it, the park is very clean and well laid out on a slope with comfortable sites, both pull-throughs and back-ins. Most have great views of the lake. The sites have an asphalt drive, gravel patio area with a picnic table and fire pit along with generous trees and shrubbery for privacy. Our satellite dish worked well as did our Wi-Fi. No over the air TV reception. Being a few miles out of town makes this RV park very quiet and the stars at night quite a show. The park has a full service marina/restaurant along with a hotel/restaurants. There is no pool or spa, but the lake is somewhat within walking distance. As this is a popular destination it is almost imperative that you make reservations. We will definitively be back. We camped at Wahweap RV and Campground in a Motorhome. Things to see and do include renting a houseboat, speedboat or taking a boat tour of Lake Powell. Also take drives to various scenic spots like the Glenn Canyon Dam, Rainbow Overlook and Antelope Slot Canyon among others. It's also a nice drive to Lees Ferry and Marble Canyon, about a hour or so from Page. We had a nice bite to eat at a restaurant at Marble Canyon before returning. Holy crap this place is cool. Somewhat unexpected, as it doesn't get the publicity it deserves. 1st off what other people have said, all loops are not created equal. A,B,C are much larger sites and none of the parking lot feel. FHU, no cable, no OTA but park wifi was excellent compared to typical park wifi. Cell service was weird for me. ATT data = 1mbps d/l ATT voice = 4 bars but unable to use toll free numbers (which shot work conf calls) Verizon data = mostly 4g (6+ mbps d/l) but the last 3 days of my stay it would toggle into 3g (1mbps d/l) on both phone and jetpack. So again, not very reliable for work screenshares etc. T mobile = 2g (too slow to stream) There are great hiking trails nearby. Horseshoe Bend and Antelope Canyon is a must. The hanging garden trail up the road is also awesome. Dogs are allowed pretty much everywhere except for Antelope Canyon.This is a doggie heaven. Site accessibility (Very easy to navigate, wide roads) - 5 Campground location (Directly on Lake Powell) - 5 Nearby amenities (Onsite small camp store. Nearby groceries etc in Page,AZ) - 4 Site Privacy (Large sites in A,B,C loops) - 5 Campground amenities (FHU, laundry onsie) - 4 Dog friendly (Great hiking trails, Dogs allowed in the lake and on trails) - 5 Activities (Lake Powell, boating, fishing, hiking, biking) - 5 Cost ($48/night for FHU) - 3 Staff friendliness (Very friendly) - 5 Connectivity (Mostly good Verizion, ATT, 2g T mobile, no OTA, Excellent free wifi) - 5 Total rating = 4.6. We camped at Wahweap RV and Campground in a Motorhome. Beautiful campground right on Lake Powell. Sites are roomy and plenty of room to maneuver a big rig. Cement pads, fire ring and picnic table on each site. We camped at Wahweap RV and Campground in a Motorhome. Big Campground and nice location. Views of a small portion of Lake Powell. Paved roads and sites. Big Rig friendly. Satellite access. No over the air TV and no cable. WIFI is very slow. Verizon phone service is ok, but wifi is spotty depending on where you are. Opposing sites, in other words, coaches are right next to each other and basically share a site with the front of one parked next to the rear of the other. Not the best arrangement for privacy. And depending on the site, awnings may not be able to be extended all the way. Full service hookups. We camped at Wahweap RV and Campground in a Motorhome. Tour the antelope slot canyons with a Navajo guide (several tour companies available.) Fantastic beauty. You can two do two separate tours, the upper and lower canyons. They are similar. If you do just one, I would do the upper canyon. Also, the Lake Powell Boat tours are worth it. The Wahweap Lodge company offers several tours. The 2 1/2 hour Canyon Tour goes into bothgNavajo and Antelope Canyon (not the same canyon at the above walking tours). We were invited by friends to join them at this campground. We're self contained and don't often stay at full service campgrounds. We stayed for 4 days, including a weekend, in late May in our 25 foot MH. This campground is well maintained and quite clean. We stayed in Loop D. The RV campsites are large concrete pads with full hookups. Most of the pads are level. They are long and relatively close together. The length made the sites feel larger and not overly crowded. Most sites had nice views with at least a glimpse of the lake. Some shade was available at most sites. The hookups work well. The laundry room was clean and in good working order. There was usable wifi most of the time. There was good ATT and Verizon coverage. We camped at Wahweap RV and Campground in a Motorhome. There is much to do in the area. Our favorites were a boat cruise and tour of Lower Antelope Canyon. Page has stores and restaurants and other services. Beautiful park. Best I've stayed in while in this area. More spacious than most, beautiful views, trees, level concrete sites. Many things to do nearby. A bit expensive, but well worth it. We would happily stay again. We camped at Wahweap RV and Campground in a Motorhome. Antelope Canyon (both upper & lower); canyon boat tour; eat at In the Grand, not for the food (mediocre) but for the entertainment. See Marble Canyon and Lee's Ferry, and while out that way eat at Cliff Dwellers and get their home made fries. Seems to be a popular place. Recommend reservations. The scenery is outstanding. Utilities were at end of site so need a long sewer hose. GPS was confused as to where to turn off of Route 89. We camped at Wahweap RV and Campground in a Motorhome. Lake Powell kayaking, Dam Visitor Center&Tour (book tour a day ahead-fills up quickly) and Visitor Center short films, Powell Museum, scenic drive to Lee's Ferry, Antelope Canyon tours, Horseshoe Bend, Wilderness River Raft trip from Dam to Lee's Ferry, hiking. Bring a scooter. Misters or water near site is a nice addition. Lake Powell boat tour was pricey but the only way to visit Rainbow Arch unless you have your own boat or hike the 20 mile trail. Antelope Canyon X tour was exceptional. Our tour guide was the best one we have found. Antelope Canyon Upper and Lower tours looked like lines at Disney. We did the half day Glen Canyon Float tour which was more than enough time to see the canyon. We also did lower Antelope canyon and back haul service kayaking down the river. Both of which are worth the trip! There is something for everybody. Unless, your hobby is shopping. Then you are out of luck. No Outlet Stores here! Safeway has a very well stocked supermarket in Page,and there is a Walmart, too. Horseshoe bend. Antelope canyon and Lake Powell for sure. Take a boat tour. The dam tours were closed due to high winds 2 of the 3 days we were here so we never got to go but the dam itself is amazing and the visitor's center is very extensive and educational. The Helios (quiet electric) raft trip down the Colorado River with Colorado River Discovery to Lee's Ferry was superb. The boat trip to the Rainbow Bridge NM was also superb. At Navajo Bridge you can actually walk over the Colorado River. Lee's Ferry historical site was fun and informative and you can dip your toes into the river. We also enjoyed visiting the Dam Visitor Center. On a previous trip we had been to Antelope Canyon. WOW. Take the tour of the Glen Canyon Dam. We enjoyed the tour of Lower Antelope Canyon. Visit Lee's Ferry and Horseshoe Bend. Fill your propane before you get here folks. It is $3.00 plus tax a gallon at the cheapest place in Page. Fuel is a little cheaper here than Utah. Combined tax for shopping is over 13%, so do all your shopping before you get here. Antelope Canyon (both upper & lower); canyon boat tour; eat at In the Grand, not for the food (mediocre) but for the entertainment. See Marble Canyon and Lee's Ferry, and while out that way eat at Cliff Dwellers and get their home made fries. Enjoy hiking, boat tour of Lake Powell, tour of Glen Canyon Dam. A large marina is very close if you have a boat and lake tours can be arranged at the Lake Powell Resort about a mile from the campground. The Glen Canyon Dam is a 10-minute drive from the campground and the visitor center offers the usual spread of programs and tours you'd find at any similar visitor center. Two grocery stores in town...WalMart and Safeway. Two hardware stores...Page Lumber and Ace. "Downtown" Page is a 10-12 minute drive from the campground. We enjoyed visiting the Glen Canyon dam, Horseshoe Bend and Lower Antelope Canyon. As a fulltime RVer it can be hard to find a place to get my hair cut and colored on the road. I went to Ava Bella in Page and would highly recommend it. Take Dixie Ellis's lower antelope canyon tour. Just be aware that if it is hot, you might be standing in line for quite awhile waiting to go into the canyon. They do have some covered areas, but we were told that during the summer, the lines can be 2+ hours waiting. Slackers restaurant in town has fabulous burgers! The 2 hour Antelope Canyon boat tour was really nice and just about the right amount of time. Other than the lake itself, you have to do the Antelope Canyon tour, and check out Horseshoe Bend. So much to do here....Upper and Lower Antelope Canyons, Lake Powell boat tours, houseboat & boat rentals, beaches and fabulous scenery. Page itself is a very connected city with major stores and lots of great restaurants. Lake Powell boat trip was very scenic. Tour of Lower Antelope Canyon was amazing. Did the Toadstools hike in the Grand Staircase-Escalante National Monument, Utah, about 30 miles up the road which was fun. Hiked to Horseshoe Bend at sunset with several hundred others--next time will try sunrise/early morning--I think the light would be better for pics at that time. There is a Walmart in Page there is a Safeway grocery in Page. Great boating, kayaking and hiking close by. Don't miss kayaking/boating in Antelope Canyon. Don't miss Horseshoe Bend and a tour of Lower and Upper Antelope Canyons. Great photo opps. So many things to see in the area, loved Horseshoe Bend at sunrise. Antelope Canyon is a definite must see. We enjoy going to lunch at the lodge which is served in the bar area. Views are great. Be sure to visit Antelope canyon. If you are a photographer the photo tour is great as they keep space between groups so you can get shots with no people in the way. Remember to take your National Parks annual pass with you whenever you go into town. Lake Powell, of course. Antelope Canyon. The dam's visitor center. Page is not much to see. On the way to Utah's splendors, of course. Hire a Navaho guide to hike the upper Antelope Canyon. Beautiful! If you are here to enjoy the sites go to a BLM center and obtain maps of hiking spots. There are plenty and they are great if you are adventurous. We drove to Zion one day because it was rainy. That was the highlight of our trip! Gorgeous country, good hiking, wildlife. Food at the lodge is very good! Since we arrived after hours, we had to use the kiosk to enter the facility for vehicle entry. Had to pay full price, but if we had arrived when attendant was available, would have received Parks Pass discount. We went to Antelope Canyon and the Horseshoe Bend Overlook, Antelope Canyon is incredible! Lots of good shopping for supplies etc. in Page, only 10 miles away! The resort (same property) has a gift sop, lounge, and fancy dining! Antelope Canyon, Horseshoe Bend, golf at Lake Powell National Golf Club, Glen Canyon Dam, Lake Powell. Just a great place! Take a tour of Antelope Canyon, we hiked the lower canyon. Caught a nail in our tow vehicle tire and the nearby Page AZ Big O was terrific in their efficiency and quickness in fixing. Kayaking in Antelope Point and Ice Cream canyons on Lake Powell is extraordinarily scenic. Lake Powell is stunning. It is a great place for any type of water sport. We took the boat tour and dinner cruise and enjoyed both. Surrounding area is great for touring. Boat Tour to Rainbow Bridge National Monument. Antelope Canyon is a must see. The tour companies are very close to the Shuttle Safeway stop. Water related activities are very popular. Don't go at summer time! The most beautiful thing to see is the Antelope Canyon, best times at 11 or 12pm (it's a guided tour $48) . Take the Antelope Canyon cruise offered at the hotel. Spectacular boat ride along the narrow canyon walls. Don't miss one of the Antelope Canyon (slot canyon) tours. Only $28 and worth it. We took the lower canyon one (Ken's), and you can walk from the booth a very short distance to the start of the canyon. The guide was most helpful with camera settings and locations. Lots of steep ladders and tight spaces, but magnificent photo opportunities! For good Mexican food we ate at El Tapatio in Page, the best street tacos we've ever had. See our reviews on Yelp. Also reviewed Big John's BBQ. Discounts available for the campground are AAA or senior rate, no Good Sam. Don't miss the ribs at Big John's Texas BBQ in town! If taking a boat tour on the lake, don't take 2. You will see everything on the Rainbow Bridge Cruise. If you prefer a shorter day on the water, the Canyons Cruise is very scenic. If taking a raft trip on the Colorado, the Discovery Full Day Motor trip is too long and slow - take the shorter one. Took a great rafting trip with Colorado River Discovery. 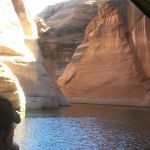 Take the Glen Canyon Dam tour! We took the Canyon Adventure boat trip; it was pretty boring. Then we took a helicopter ride from Page that lands on Tower Butte. Incredible! Boat trip on the lake is outstanding, lower Antelope canyon tour is a "Bucket List" item in my opinion. General boating and skiing on the lake is the best. 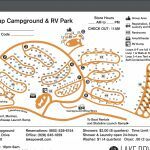 Are you affiliated with Wahweap RV and Campground ?